Commuters in New York and Los Angeles can use their Visa card to pay for bus, subway and train fares. In New York, Visa is allowing riders to pay using Visa payWave-enabled cards and mobile phones, while commuters in Los Angeles can use a special Visa prepaid card to ride the LA metro system. Visa say that the programs in New York and Los Angeles are part of their long-term strategy of extending the speed, security and convenience of Visa acceptance to new locations. As part of this strategy, Visa has also brought payment services to commuters in the world’s most populous areas, including Kuala Lumpur, Seoul, Singapore, London and Paris. The pilot program in New York uses Visa payWave technology, which is based on a small electronic chip embedded in a mobile phone or payment card that communicates securely with contactless readers at the fare gate and on the bus. Transit riders pay by simply holding their Visa payWave-enabled mobile phone or card near the designated reader at the fare gate. 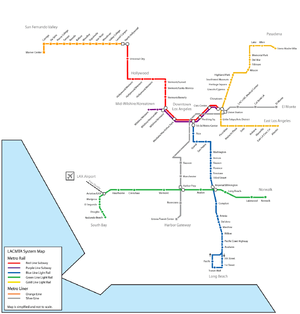 The program in Los Angeles is exclusive to Visa and started September 15, 2010 and is a system wide commercial implementation available to all riders of the LA Metro system. The TAP ReadyCARD combines Visa prepaid functionality with the LA Metro’s TAP (Transit Access Pass) proprietary transit application on a single card. As part of the company’s ongoing effort to add ever greater utility to its core credit, debit and prepaid payment products, Visa is working closely to integrate its electronic payments network, VisaNet, with mass transit fare collection systems. Visa payWave, Visa’s contactless payment application, is now accepted as part of a pilot payment program underway with New York City Transit, NJ TRANSIT and The Port Authority of New York and New Jersey. As part of Visa’s participation in the NY transit program, Visa is testing both payment cards and popular smart phones enabled with Visa payWave. The mobile technology, which was developed by DeviceFidelity, transforms many smart phones with a microSD slot into a Visa payment device. Earlier this month, Visa, the LA Metro system and Ready Credit Corporation started a system wide commercial deployment offering riders a TAP ReadyCARD Visa Prepaid Card that incorporates the transit system’s “TAP” fare application. These dual-use, Visa prepaid cards will let riders pay their fares and purchase fare products using their Visa account, while also allowing cardholders to make purchases anywhere Visa debit is accepted. Ride, pay and reload cards – sold through automated ReadySTATIONTM kiosks within the LA Metro system and at select retailers. These cards will be active and ready to use immediately for both transit fares and Visa purchases everywhere Visa debit is accepted. Riders will be able to add up to $500 in value at the kiosks. Ride, pay, reload and ATM cash access cards – these are personalized cards, which are ordered online or over the phone. Beyond a larger value limit, the personalized cards have the added feature of a Personal Identification Number (PIN) for obtaining cash at ATMs. It will also function as a standard Visa prepaid card for purchases outside the transit system wherever Visa is accepted. In addition, cardholders will be eligible for free direct deposit of their paychecks directly to the Visa prepaid card account, providing added convenience and security over payment alternatives like checks and cash, to riders currently without traditional banking relationships. Singapore: In August 2010, Visa launched the Youth Olympic Games Visa Prepaid card that combines general purpose payment, prepaid contactless transit and event access. The card, launched in conjunction with the Inaugural Youth Olympic Games in Singapore, allows cardholders to make purchase at Visa merchants, and payment on Singapore’s public transportation system. As part of Visa’s partnership with the Singapore 2010 Youth Olympic Games Organizing Committee, DBS Bank and EZ-Link, Youth Olympic Game attendees were able to use the card as a ticket for entry to the Opening and Closing Ceremonies. Istanbul: Visa Europe and DenizBank in Turkey introduced Visa payWave acceptance at Istanbul ferry gates in partnership with IDO (Istanbul’s Fast Ferries Co. Inc). Now, Visa payWave cardholders from Turkey or abroad can simply wave standard Visa payWave card over the gate reader and pay for their journey, just like any other Visa payWave transaction. DenizBank also launched a special co-branded IDO Sea Miles card that offers reward miles that can be redeemed for free ferry travel. Thanks for the details very well. I will come back to you again, when I want to know something.